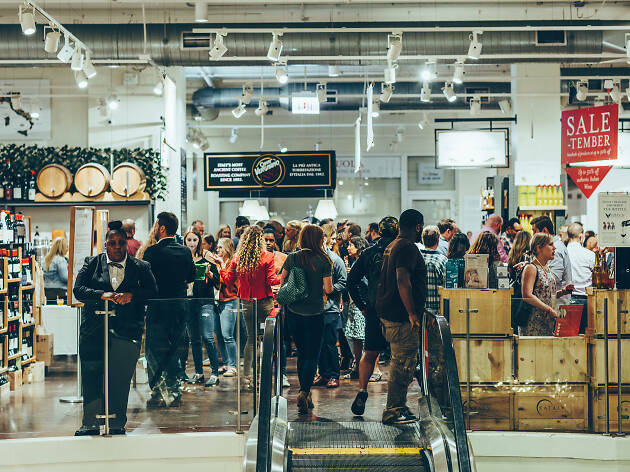 Eataly Chicago will once again host its all-inclusive SpringFest, which allows guests to take over the bi-level store and enjoy unlimited food and booze until midnight. The popular annual event will be hosted on Friday, March 22, and tickets are already on sale. This year, the Italian superstore will offer three check-in times at 6, 7:30 and 8:30pm. The event goes until midnight for all attendees, so we have an inkling that the 6pm time slot will sell out first. Regardless of which check-in time you select, all tickets are $78 and include unlimited food, drink and entertainment. There are no pesky sample vouchers—simply go from stand to stand and indulge in never-ending Italian bites and drink samples. Throughout the evening, Eataly chefs will prepare signature dishes like Neapolitan-style pizzas, handmade pastas, cheese and artisanal meat platters and more. 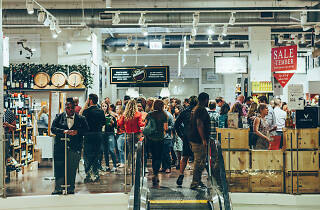 Guests can roam the store with cocktails, Italian wines and in-house beers in hand. Once you've had your fill of chianti and salumi, bust a move to music from the live band. Salute!